﻿ Picture Proof of Cougars in the Minnesota! Photo Evidence of Cougars in Minnesota! 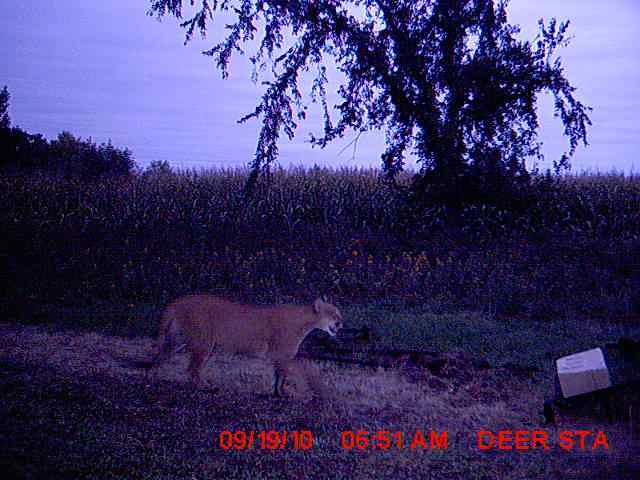 Received this copy of the trail cam photo of a cougar from Ortonville (photographer- Mike Fossen). Ortonville is SW Minnesota on the east side of the Big Sioux River. This cougar photo has already been confirmed by the DNR. This picture come at the same time a rash of cougar sighting in the area.